If anyone thought their family history was complicated, they got nothing on William Clayton. Life's already been one challenging SOB for the young teen with his mom getting murdered, and his long lost father returning to his life, only to get sent to jail. The worst part is that poor William's family drama doesn't ever seem uncomplicated. Just when he thought he had all the answers, a whole new set of questions came around for William on Arrow Season 7 Episode 13. Before we get to the big future reveal, let's talk about young William for a second because one has to admire the kid's gusto. 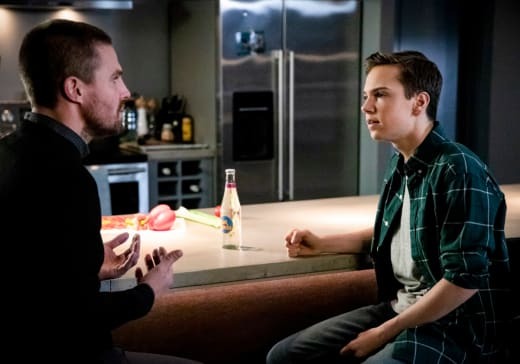 There will be those who will say William was annoying and bratty on "Star City Slayer," but you got to admit, William hasn't exactly had the most stable parental figures. Oliver claims he tried to give William a stable and normal life, but has he really? He got himself sent to prison just as William was starting to adjust to his new life with him and Felicity. And when Oliver was finally released, they still forced the kid to stay at his boarding school for Christmas! How William didn't lash out until now amazes me. My hissy fit would've scared the boots of off psychotic Stanley. I would've liked to see William even more pissed. Yet, he managed to not only calm himself down but also help Oliver save the day and stopped Stanley from hurting Felicity. William: It's not a big deal, I got into a fight. I thought you'd be proud of me. I went for the nose, just like you told me. Felicity: When did you tell him to go for the nose? Oliver: That was over a year ago and a lesson in self-defense. Thank you. Permalink: That was over a year ago and a lesson in self-defense. Thank you. The unfortunate thing here was William only got one chance here to be a teenager. He got the chance to yell at his dad, but then he had to rationally think about the best way to deal with the situation in which he found himself. In retrospect, shouldn't have William always lived with his grandparents after his mom died? Oliver had the potential to be a good father and should always be a part of William's life, but living with him and Felicity put William in danger too many times. Oliver should've realized that it wasn't safe or healthy for William to live with him in the first place. It felt as though Oliver was selfishly clinging on to the one person who brought him some sense of normalcy in his life. However, William is the one who deserves a sense of normalcy and living with his grandparents will help him get that. 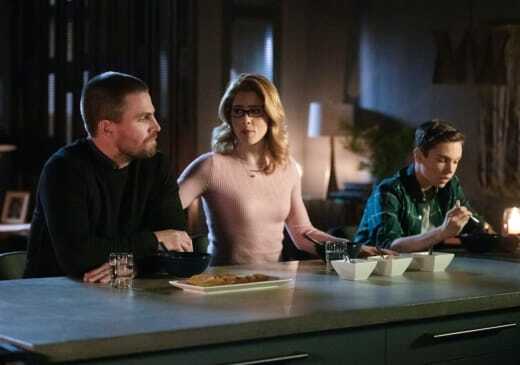 Living with his grandparents during these formative years is probably the only reason William wasn't screwed up by the time he became an adult, but not living with Oliver and Felicity meant he would be out of the loop on a lot of stuff. For example, somehow William never found out that he has a sister. That's right, a theory that a few Arrow Fanatics posed is correct. Blackstar is a Smoak. Maya: You're not going to shoot me. William: You sure about that? Maya: Yeah, because my name is Mia Smoak. I'm Felicity's daughter and your sister. Permalink: Yeah, because my name is Mia Smoak. I'm Felicity's daughter and your sister. 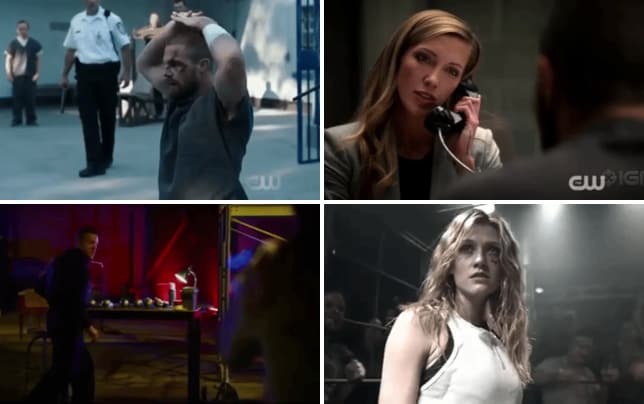 The reveal was a good one, but one that poses many questions like how in the hell did William not know Felicity (and Oliver I presume, although that's yet to be confirmed) had a daughter? Central City isn't that far away; I'm sure he still visited Olicity every once in a while. "Star City Slayer" teased at the end of the episode that Felicity was pregnant in the current timeline, but that may not end up being Mia Smoak. 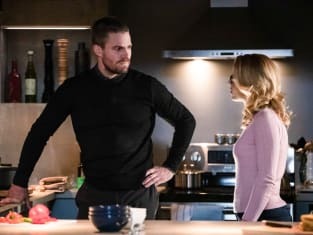 I loved this plot twist, and I am super pumped about what William having a sister means in the future storyline, but the twist felt a little watered down due to the reveal of Emiko as Oliver's sister on Arrow Season 7 Episode 10. Mia is way more interesting than Emiko right now though, especially because she's working with Connor Hawk aka John Diggle, Jr. There's so much mystery still surrounding everything in the future that I'm hoping Season 7 will eventually do an episode dedicated to it. William and Mia are two of the best additions on Arrow Season 7 due to twists and turns like this one. As long as the explanation behind this twist is somewhat realistic, I'm all in. While the future has left me excited and wanting more, I couldn't help but be disappointed with the Stanley of it all. Bringing back Oliver's former friend turned psychopath was inevitable, and I was hopeful for his return. 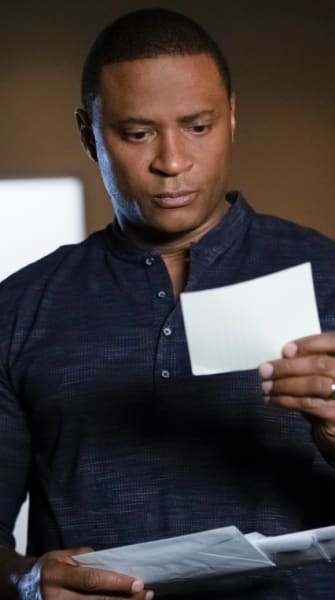 Okay so wait, you, me, Laurel and Rene all got notes but Curtis and Oliver didn't. Curtis. Oh, don't worry about me, I'm definitely not feeling FOMO over it. I imagined he was going to play a significant role on the second half of Season 7, but it looks like I was mistaken. Stanley may have played a big role in this episode, but it seems like his time is up. He's been captured, and as far as I can tell, this was the last we'll see of Stanley for a long time. Stanley had so much potential that using him as a one-episode villain felt like a bit of a letdown. He's not only a psychotic killer but a master manipulator. 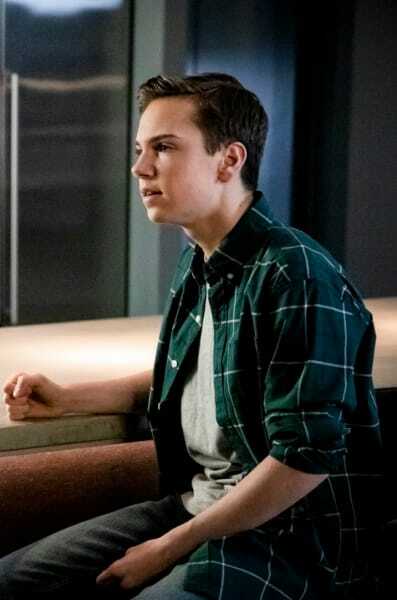 He could've been a major threat for Team Arrow moving forward, but instead, he was a minor threat that they defeated, in large part, thanks to a teenager. 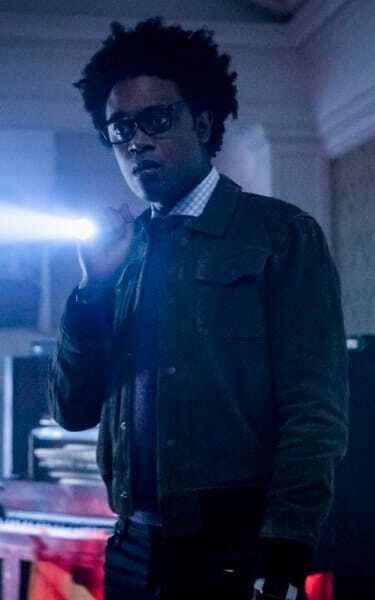 Stanley and William may have been the two focuses on "Star City Slayer," but I couldn't help but pay attention to Curtis throughout this episode. The main reason being that the technology wizard's final days may be arriving shortly. Didn't it feel as though everything was coming together for Curtis a little too perfectly? Diggle: Curtis and Rene, you guys take upstairs. Me and Dinah will secure down here. Curtis: Split up? What have you guys never seen a horror movie before? Permalink: Split up? What have you guys never seen a horror movie before? He played a vital role in saving Dinah's life and also got his dream job in Washington D.C. where he can make a huge difference. Too many good things have happened to the brainy vigilante, and the fact that his name has never once been mentioned in the future has me worried about his fate. He could just move to Washington D.C. and live his best life there, but it seems as though the clock is ticking for Curtis, and if his fate does equal death, the only question is who would be the culprit? Arrow Season 7 Midseason Report Card: Best Action Sequence, Biggest WTF? Moment & More! What did you think of "Star City Slayer"? Do you think Oliver and Felicity made the right call in letting William live his grandparents? Would you like to see more of Stanley or was this a fitting conclusion to his story? How do you think William will react to Blackstar being his sister? Do you think Curtis will survive? Let us know in the comments below, and if you need to catch up make sure to watch Arrow online right here on TV Fanatic!